The Video Cue Points component, now available for download, allows developers to build an interactive video ad that looks and feels like VPAID, except that the video runs directly within the display ad on mobile devices. Interactive HTML5 banners with video might take 2-3 weeks of developer time to hand code, but with Google Web Designer and our Video Cue Points component, it can take as little as 3-4 hours. This entry was posted in AdWords Agency Blog and tagged AdWords on June 30, 2015 by Nicole Burgan. The GTAC (Google Test Automation Conference) 2015 application process is now open for presentation proposals and attendance. GTAC will be held at the Google Cambridge office (near Boston, Massachusetts, USA) on November 10th - 11th, 2015. GTAC will be streamed live on YouTube again this year, so even if you can’t attend in person, you’ll be able to watch the conference remotely. We will post the live stream information as we get closer to the event, and recordings will be posted afterward. Presentations are targeted at student, academic, and experienced engineers working on test automation. Full presentations are 30 minutes and lightning talks are 10 minutes. Speakers should be prepared for a question and answer session following their presentation. For presentation proposals and/or attendance, complete this form. We will be selecting about 25 talks and 200 attendees for the event. The selection process is not first come first serve (no need to rush your application), and we select a diverse group of engineers from various locations, company sizes, and technical backgrounds (academic, industry expert, junior engineer, etc). The due date for both presentation and attendance applications is August 10th, 2015. There are no registration fees, but speakers and attendees must arrange and pay for their own travel and accommodations. You can find more details at developers.google.com/gtac. This entry was posted in Google Testing Blog and tagged Anthony Vallone, GTAC on June 30, 2015 by Google Testing Bloggers. Your inbox is home to some of your most meaningful and entertaining messages—from that acceptance letter, to those throwback photos—so we think it’s important for Gmail to feel just as personal (and fun!). That’s why we offer lots of ways to customize your experience—from inbox categories, to email formatting, to shareable selfies—and why today we’re expanding your options with additional themes, and emoji. 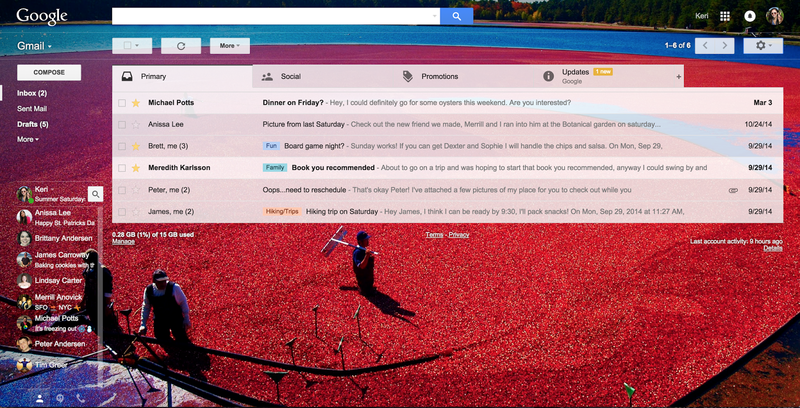 Themes can help you dress up your inbox, as well as distinguish between your home and work accounts, so they’ve been an important part of Gmail since they first appeared in 2008. 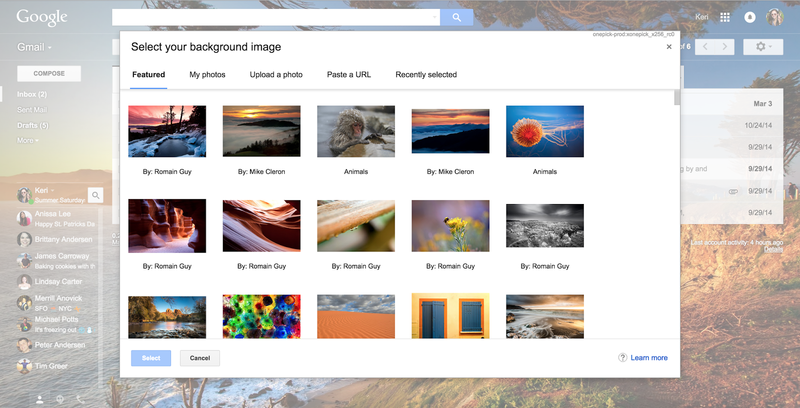 Starting today there are hundreds more high-res options available (photographed by some fellow Googlers!). And of course, you can always upload your own. Once you’ve found the right photo, you can now use editing tools like blur, vignette, and text background to make your image and messages look great together. Sometimes you just can’t find the words to express how you’re feeling over email . 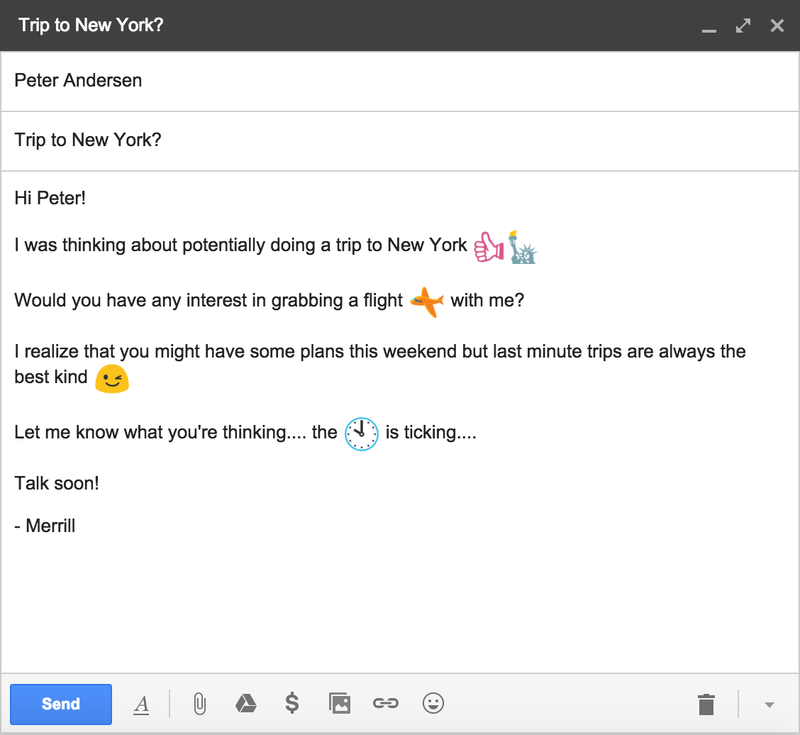 But fret no more, because today’s Gmail update includes emoji for just about every occasion . Excited about this weekend’s barbecue? Finalize the menu, dress code and after-dinner plans with just a few characters: . Running a few minutes late? Let your friend know you’ll be there at . Whatever the situation, sending emoji is now a piece of . All of today’s web updates are rolling out over the next few days, so check back soon if you don’t see them yet. Once you do, definitely share your favorite themes and emoji with us on Google+, Twitter and Facebook ! This entry was posted in Official Gmail Blog and tagged Gmail on June 30, 2015 by The Gmail Team. A version of this post originally appeared on Google Analytics Certified Partner InfoTrust's site. One of our specialities here at InfoTrust is helping ecommerce businesses leverage their web analytics to make better data-driven marketing decisions. This typically starts with installing Google’s Universal Analytics web analytics software and utilizing all of the functionality that is offered with Enhanced Ecommerce tracking capabilities. Enhanced Ecommerce provides you with a complete picture of what customers on your site are seeing, interacting with and purchasing. One of the ways you track what your customers are seeing is with product impressions (whenever a user sees an image or description of your products on your website). Normally, you track what products users see or impressions by simply adding an array of product objects to the DataLayer. These represent the products seen on the page, meaning when any page loads with product images/descriptions, data is sent to Google Analytics that a user saw those specific products. This works well. However, there is a major issue with this method. Sometimes you are sending impressions for products that the user never actually sees. This can happen when your page scrolls vertically and some products are off the page or “below the fold”. Here are the results for the search term “Linens”. Currently, you can see sixteen products listed in the search results. However, in the normal method of sending product impressions, a product impression would be sent for every product on the page. Obviously, no one's screen looks like this, but by sending all products as an impression, we are effectively saying that our customer saw all 63 products. What happens if the user never scrolls past the 16 products shown in the first screenshot? We are greatly skewing the impressions for the products on the bottom of the page, because often times, users are not scrolling the entire length of the page (and therefore not seeing the additional products). This could cause you to make incorrect assumptions about how well a product is selling based off of position. The solution: Scroll-based impression tracking! Instead of automatically adding all product impressions to the DataLayer, we add it to another variable just for temporary storage. Meaning, we do not send all the products loaded on a page directly to Google Analytics, but rather just identify the products that loaded on the page. When the page loads, we actually see what products are visible on the page (ones “above the fold” or where the user can actually see them) and add only those products to the DataLayer for product impressions. Now we don’t send any other product impressions unless they are actually visible to the user. Once the user starts to scroll, we start capturing all the products that haven’t been seen before. We continue to capture these products until the user stops scrolling for a certain amount of time. We then batch all of those products together and send them to the DataLayer as product impressions. If the user starts to scroll again, we start checking again. However, we never send the same product twice on the same page. If they scroll to the bottom then back up, we don’t send the first products twice. Using our example on the “Linen” search results, right away we would send product impressions for the first 16 products. Then, let’s say the user scrolled halfway down the page and stopped. We would then send product impressions for products 18 through 40. The user then scrolls to the bottom of the page so we would send product impressions for 41 through 63. Finally the user scrolls back to the top of the page before clicking on the first product. No more impressions would be sent as impressions for all products have already been sent. The result: Product impressions are only sent as users actually navigate through the pages and can see the products. This is a much more accurate form of product impression tracking since it reflects actual user navigation. Next steps: for the technical how-to guide + code samples, please see this post on the InfoTrust site. This entry was posted in Google Analytics Blog and tagged Advanced Topics, Analytics, Code and Configuration, Ecommerce, Google Analytics on June 30, 2015 by Adam Singer. Hello, DFP API developers! We just wanted to let you know of some minor DFP API changes that affect all versions of the API. Most likely these won’t affect your integration with DFP, but we’re announcing them here for transparency. Deleted LICAs are no longer persisted in the product. This will affect all versions of the API. There are two things to be aware of as a result of this. First, the method getLineItemCreativeAssociationsByStatement will no longer include these deleted LICAs. Second, if you’re syncing your LICAs daily, you may notice fewer LICAs coming back. As a reminder, you can always use the action DeactivateLineItemCreativeAssociations if you want to keep them around, but not use them. This change is already in effect. We are also getting rid of CreativePlaceholder.id because it is not used or referenced anywhere in the API. This field will be removed in v201508. For all versions prior to v201508, this ID now comes back as 0, instead of an ID assigned by Google. This change is also already in effect. If you have any concerns or questions about these changes, you can always contact us on the DFP API forums and we’ll be glad to help you out. This entry was posted in Google Ads Developer Blog and tagged AdMob, Ads, AdSense, AdWords, deprecation, Developer, dfp_api, DoubleClick on June 30, 2015 by Google Ads Developer Advisor. This entry was posted in DoubleClick Advertiser Blog and tagged Ads, Advertisers, Creative, DoubleClick, formats, Google Web Designer, mobile, Video on June 30, 2015 by Becky C.. This entry was posted in Apps Feed Blog and tagged apps, Google Hangouts, Rapid Release, Scheduled Release on June 30, 2015 by Jane Smith. 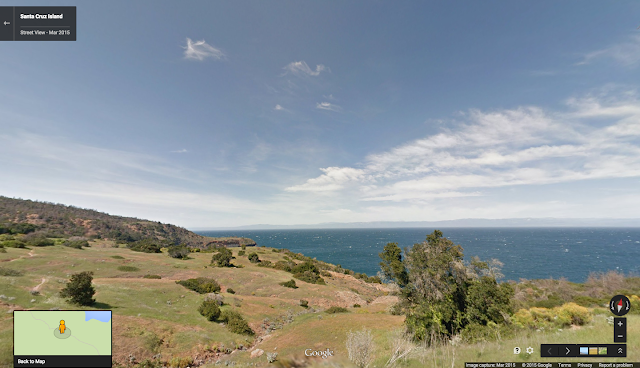 What better place to venture this summer than sunny California? 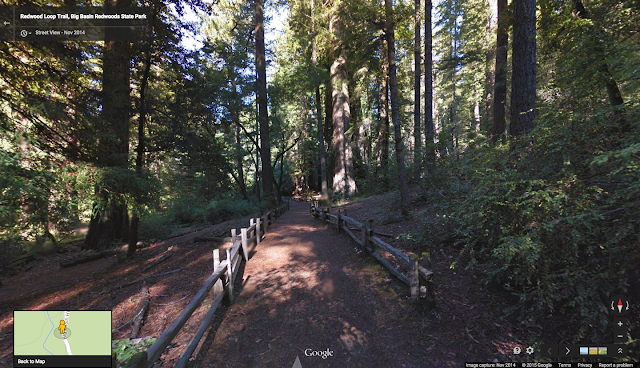 Starting today, you’ll be able to explore hundreds of new locations across the Golden State with Street View in Google Maps. So whether you’re sipping cabernet sauvignon in Napa, dipping in the Pacific Ocean, or hiking through the redwoods, you’ll get a peek of what awaits you along Route 101. California boasts more than three thousand wineries across the state, and is known for its varietals ranging from buttery chardonnays to big-time zins. Aspiring sommeliers, wine enthusiasts or just those who love a good view can now take a virtual tour of wineries across the state. Enjoy the sunny elegance and wonderful scenery at wineries like William Hill and Wolff Vineyards (we recommend you grab a glass while you browse). 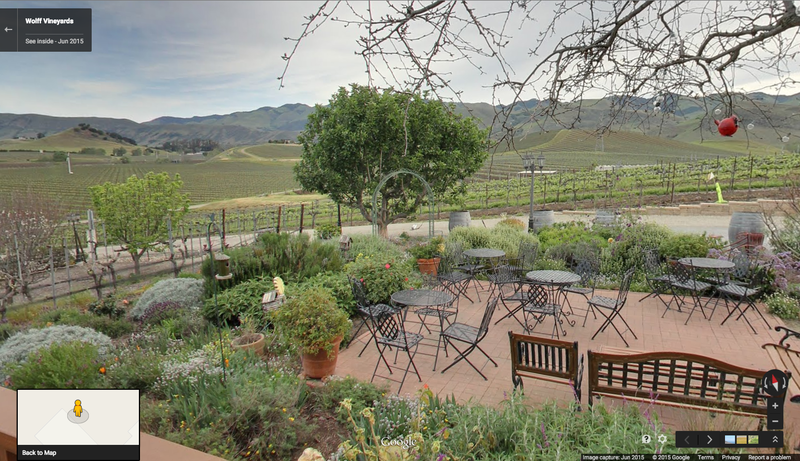 Explore the drums where wine is aged at Quintessa Winery before enjoying the open air patios that overlook the green hillsides of northern California. Nature lovers and camping enthusiasts alike can travel the winding trails through Big Basin Redwoods State Park and Portola Redwoods State Park, and gaze at glorious trees that rise hundreds of feet overhead. Meanwhile, the vistas at Angel Island State Park, Mendocino Headlands State Park and Glen Canyon Park may leave you breathless. Surf’s up! 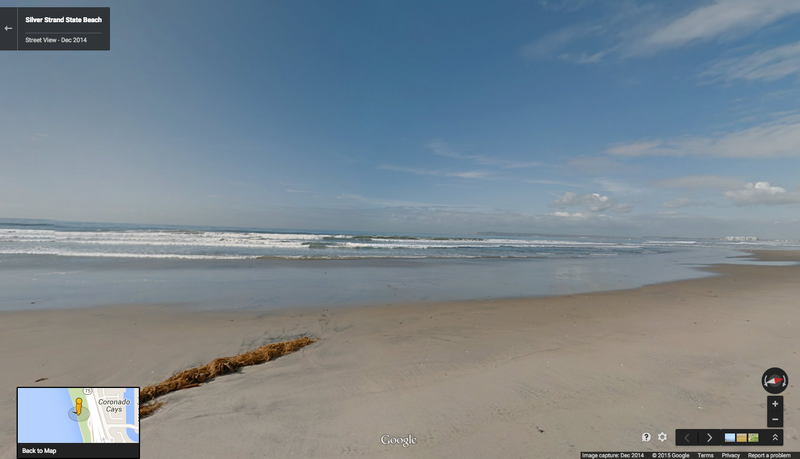 The Pacific Ocean may be chilly in person, but it sure looks warm under the Street View sun at Silver Strand State Beach. Looking out at the wide, expansive coastline at Robert W. Crown Memorial State Beach, the clouds seem to sit right on the California horizon. You can see conservation of these amazing landscapes happening right before your eyes by visiting several nature preserves, guided by Trekker loan partner, The Nature Conservancy of California (TNC). See Kammerer Ranch Preserve, where TNC is studying blue oak trees in a protected watershed, or Gonzales Farm Preserve, where you can go back in time to watch plants grow in an effort to build a wildlife corridor. Or jump over to Santa Cruz Island Preserve, in the Channel Islands, where TNC is mapping bishop pines to understand why the trees are dying and what they can do about it, all in the effort to preserve California’s diversity and beauty for generations to come. With Google’s headquarters nestled alongside the San Francisco Bay in Mountain View, Calif., this imagery of our great state is especially close to our hearts. We hope it inspires you to take a trip out and explore the west coast! This entry was posted in Google LatLong Blog and tagged LatLong on June 30, 2015 by Lat Long. When we discover something amazing – whether it’s a new coffee shop or a tool that improves the way we work – we want to share it with people we know, so they can also benefit. Many of the millions of Google Apps customers around the world learned about tools like Hangouts, Drive and Gmail for business from their customers, friends and networks. To make it easier for you to recommend Google Apps, today we’re launching the Google Apps Referral Program in New Zealand. The referral program makes it easy to share Google Apps with your network and show them how they can use these tools at work. It's open to anyone in New Zealand, and you’ll earn NZ$20 for each new Google Apps user you refer. Good things are better shared. Find out more here. This entry was posted in Google New Zealand Blog and tagged New Zealand on June 30, 2015 by Johnny Luu. Launceston has always been a forward-looking town. It was the first town in Australia to be lit by hydroelectricity (and the first town in Australia to have underground sewers!). It was also a regional winner of our 2013 eTowns Award, and Launceston small businesses have been quick to see the potential of the web to help them grow. We recently asked more than 150 small business owners in Launceston whether they thought the Internet would be important to their future growth - and 100% said yes. However, around one third of those business owners also said they didn’t know how to take advantage of this. So we were delighted to visit Launceston today as the fourth stop on a nationwide roadshow (and that’s not just because of Tasmania’s delicious cheese!). The roadshow, in partnership with the Australian Chamber of Commerce and Industry is part of our efforts to help small business around Australia make the most of the web. Our guest Eric Hutchinson MP opened the event for around 120 Launceston small business owners, who then heard how the web could help them find new customers and grow their business. We heard from Lisa Tedeschi, the owner of fashion store Sebachi, who has used AdWords to market her clothes store not just to people in Launceston, but all over Australia. She told us how the Internet had helped her start exporting clothes overseas, to locations as far afield (and fashion-forward!) as Sweden and Belgium. Lisa’s success is also Australia’s success. Research shows that businesses that are online are twice as likely to be growing and four times as likely to be hiring staff. So it’s vital for Australia that we support small businesses as they look to get online. The good news is that it only takes a few minutes, and you don’t even need a website to start off. To find out more about our free tools, have a look at Google My Business. This entry was posted in Australia Blog and tagged Australia on June 30, 2015 by Johnny Luu.